To start off, robust inventory management helps in important forecasting and controlling stock levels. This in turn increases productivity and sales, while costs are cut down. But this is not the only way in which a company becomes profitable. Inventory management also helps to save time, while reducing the margin of error. This ensures that the workforce doesn’t make costly mistakes. And finally, you get quick access to past and present pricing trends, product codes that can be cross references, and a plethora of tools that help you analyze purchasing habits, and this in turns leads to streamlined processes. Next up, inventory management services help in the efficient management of cash inflows and outflows. How? Well, you are able to purchase the correct inventory in the right amount to meet customer demand, while at the same time you avoid shelving products that sell poorly, thereby removing an obsolete inventory. This not only leads to higher profits, but also to a better cash flow. But that is not all; a robust inventory management system comes with credit management & collection tools that help convert receivables to cash much more efficiently. Moving on, inventory management helps you collect data quickly and accurately with the help of real-time business intelligence across all departments of the business. Not only that, but you can also identify and solve problems quicker with the help of issue, event and project management tracking capabilities. Finally and most importantly, inventory management allows you to respond to customer buying trends, seasonal demands, promotions, fluctuations in demand and supply, so much so that you always have the right products in stock for customers. Just imagine the kind of leverage this gives you over your competitors. Moreover, a good inventory management service comes with customer service tools that enable your staff to deliver consistent, personalized care for clients at all times. 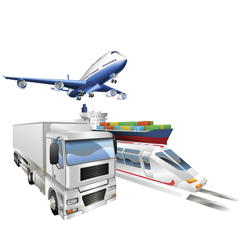 Customers can also easily identify products available for shipment, which helps them to order and receive the correct items in a timely fashion.